Ari Unda is one of the popular sweet snacks from Kerala, India made from a mixture of rice flour, fresh grated coconut and jaggery. 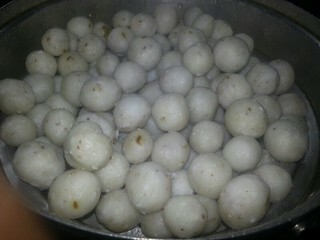 Likewise, these balls are made from grinded rice or rice flour (Ari Podi) and flavored with spices, like Cardamom powder. 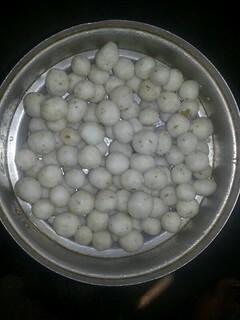 Ari means rice and Unda means balls in Malayalam language, the language spoken in the Indian state of Kerala.